Childhood friends from Kassel, Germany with backgrounds in jazz hit number one on the charts in 2013 with their very first single, Stolen Dance, in seven European countries. Artfully mixing folk, reggae, and jazz sounds and citing influence from artists like Bob Marley and the Red Hot Chili Peppers, the group doesn’t try to subscribe to any predetermined genre or style. Lead vocalist and guitarist Clemens Rehbein explains in interviews that the group is highly open-minded and lets whatever they feel stream into their music organically. 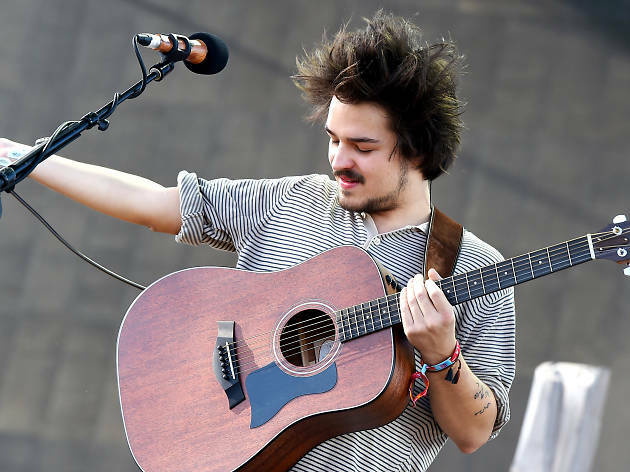 As the publication Noisey describes, the group “masterfully combines house and electronic beats with reggae and R&B influences; the lyrics, though, could have been written by a folk singer.” Come feel some genuine musical expression through the world renowned beats, lyrics, and vibes of Milky Chance.